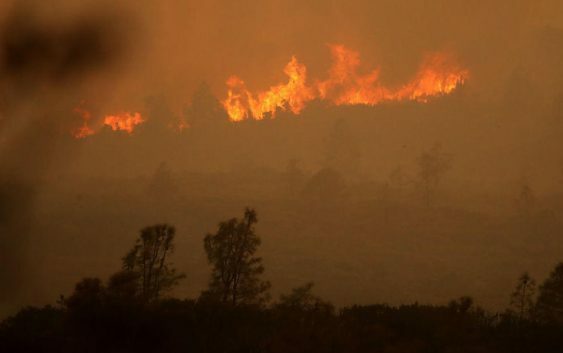 Meanwhile, a firefighter died Monday battling a massive blaze in Northern California — the sixth fatality in a matter of weeks. 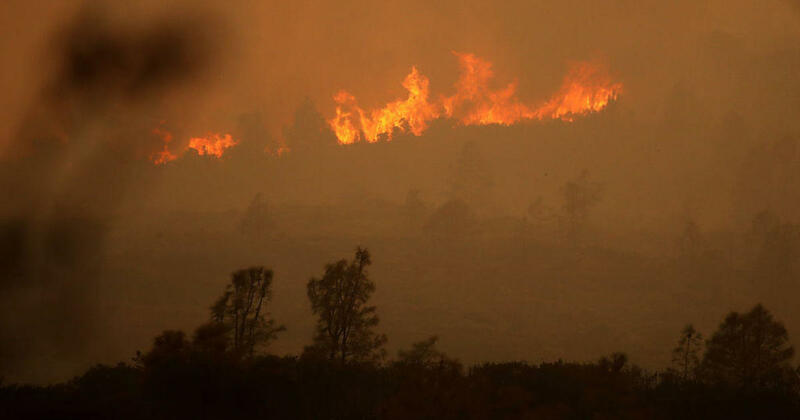 State fire officials didn’t immediately provide details of the death, which occurred north of San Francisco where the largest fire in recorded state history, the Mendocino Complex Fire, has been burning since July 27. CBS Sacramento reports that the firefighter was the first recorded fatality from the Mendocino Complex. Two other firefighters had previously been injured fighting the fire. Park officials said in a statement that structures on the north end of Lake McDonald were lost, but they did not provide details on the number and type. The fire grew to between 2 and 4 square miles by Monday afternoon. A second campground, a motel and private residences inside the park’s boundary also were evacuated. A 30-mile stretch of the scenic Going-to-the-Sun Road was closed to traffic. The road, with breathtaking views of the park’s mountainous interior, is a major draw for tourists. Among them was a 3-square-mile fire that triggered an evacuation order for residents of 15 houses southwest of the town of Ennis, Montana. The fire was burning in challenging mountain terrain with a mix of pine, fir and spruce trees, said fire information spokesman Dave Sabo. Montana had a slow start to this year’s fire season following a record-setting 2017 in which more than 2,400 square miles burned. This year’s fires so far have charred a combined 30 square miles of the state. In Colorado, a wildfire in the southwestern portion of the state ignited by lightning July 29 had burned across 34 square miles by Monday. The fire burning in Glacier was one of several started in the park by lightning on Saturday evening. Windy, dry conditions on Sunday caused the blaze to spread rapidly, in full view of tourists and people who live and work around Lake McDonald, a 9-mile body of water ringed by steep-sided mountains.